Using the now-complete Cassini data set, Cornell astronomers have created a new global topographic map of Saturn's moon Titan that has opened new windows into understanding its liquid flows and terrain. Two new papers, published Dec. 2 in Geophysical Review Letters, describe the map and discoveries arising from it. 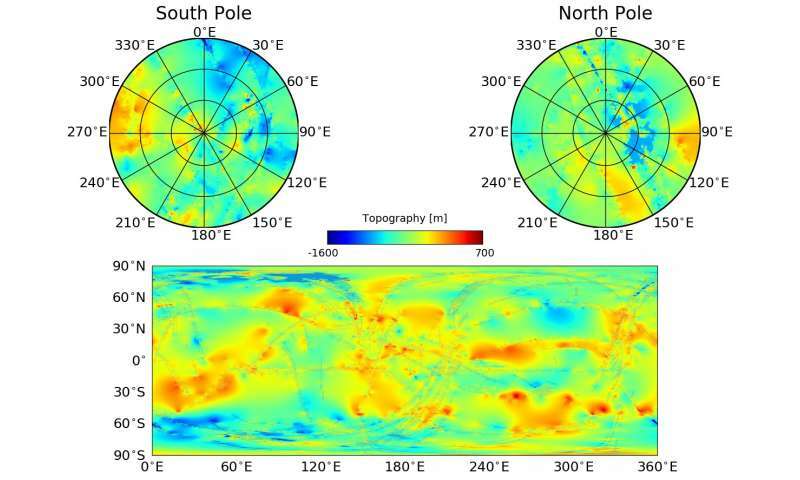 The map also revealed that Titan is a little bit flatter – more oblate – than was previously known, which suggests there is more variability in the thickness of Titan's crust than previously thought.